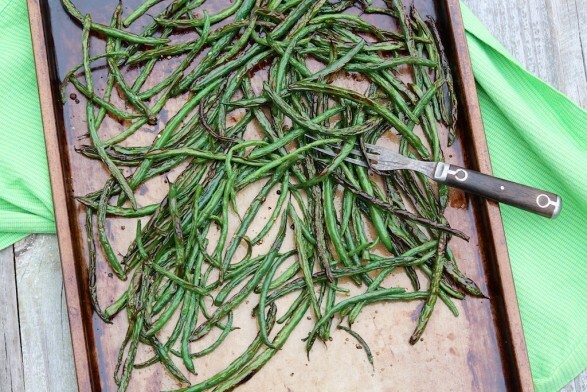 Blistered Green Beans…so easy and so good! For years I steamed my green beans. Occasionally, I roasted them. For the past year or two, however, broiling has been my go-to method of preparing this dinnertime staple. 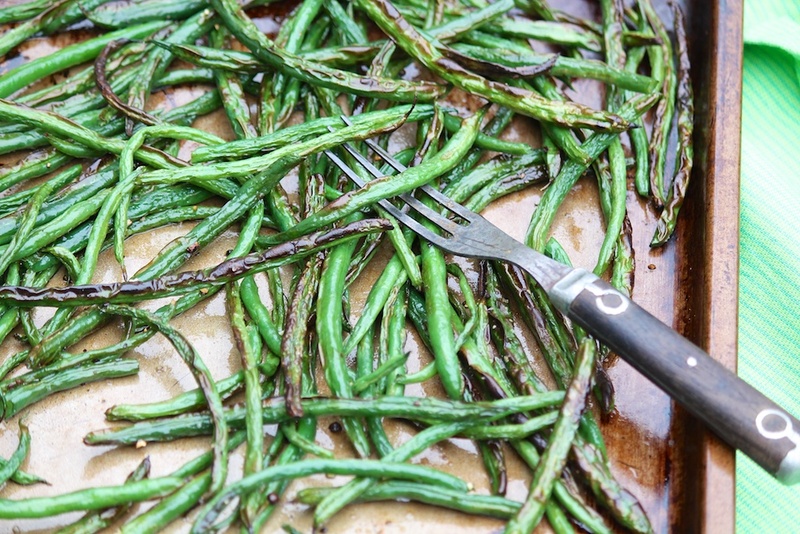 Broiling green beans brings out a bright flavor while adding just a touch of smoky char. You may cook the beans to your preferred point of doneness, though I like to pull them from the oven on the crisp-tender side. Incredibly easy and delicious all by themselves, blistered beans are a welcome veggie addition to a variety of salads, from quinoa to pasta to basic green. For a speedy side dish that’s full of flavor, toss the blistered beans with slow-roasted grape or cherry tomatoes and sprinkle with crumbled feta. Yum! Broiled beans are delicious as a simple side dish but also make a flavorful add-in to a variety of salads. The exact broiling time will vary based on oven and thickness of bean. Watch the green beans closely until you determine what works best for your oven. Preheat the oven to broil, and place the rack in the center of the oven. Wash the green beans and pat dry. Trim the ends, and toss with just enough olive oil to lightly coat. Sprinkle with salt and pepper and toss again. Place the green beans in a single layer on a baking sheet–a little overlap is fine–and broil for 8-10 minutes or until they are crisp-tender (I like to pierce with a sharp knife to check) and blackened in spots. Thinner green beans may take 5-7 minutes. Enjoy hot, room temperature, or cool and refrigerate for use in a variety of salad recipes. If the green beans are blackened in spots but still not cooked to your liking, toss them and return to the oven for another minute or two. If you have more than a single layer on one baking sheet, toss the beans after the first 5 minutes and then check every minute or so after that until they are cooked to your liking, tossing again, if needed, to evenly cook. What a great idea! I almost never, ok, never buy green beans since often they taste to bland to me. This I will have to try though! Hope you are doing well Ann! I think this really perks them up, Mary Lou. All is well here. Kids back to school…where did the summer go? Hope you enjoy and that all is well with you, too!